Just look at this cover. Orsk is a furniture store that feels like a prison to many of its employees. It’s the sort of retail hell that’s designed to never let you leave. As the story opens we learn that merchandise is being damaged overnight. There are Orsk company inspectors on the way, so the store manager has to get to the bottom of the mystery quickly. So the devoted-to-the-company manager puts together a small crew to wait overnight so that they can catch whoever is responsible for messing with the inventory. Unfortunately, weird things begin to happen once night falls. Graffiti appears on the walls that references “the Beehive.” Stains and mold and scratches appear on normally flawless surfaces. Then the shadowy figures start to appear. Turns out the store was built on the swampy remains of a notorious prison. 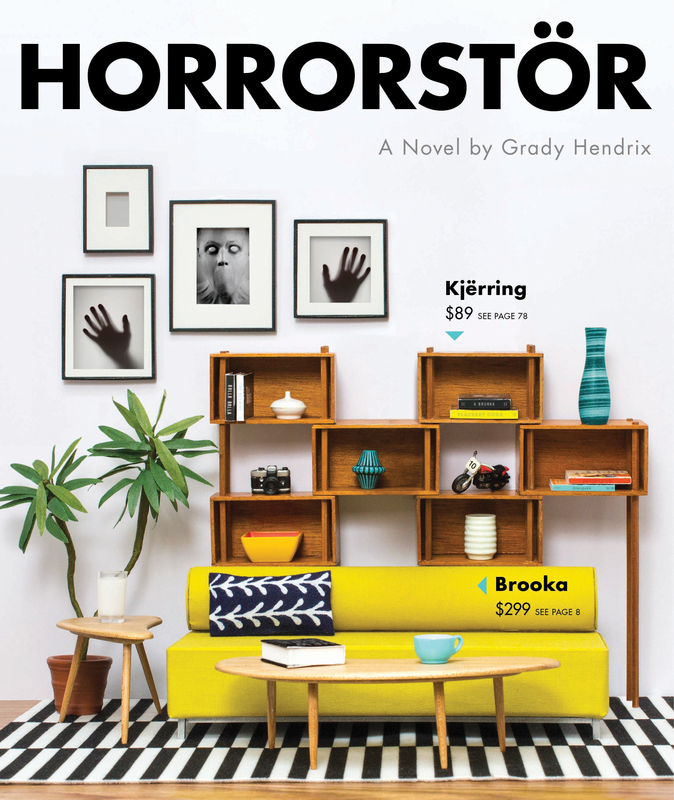 Horrorstör is clever, fun, and pretty darn creepy–I snorted with laughter even while being scared. Think Shaun of the Dead style, where the gore is paired with a laugh. Actually, there are lots of horror movie references and tropes here. This novel is particularly cinematic in pacing and tone and, because of the catalog framing device, relies a lot on visuals. So it’s even more like a horror movie than it might be otherwise. The catalog device is very well done, especially in the chapter-heading ads for furniture (which morph into something altogether different as the story goes on). The phrasing for the merchandise description is spot-on. And so is the corporate-speak of the employee manual and the more devoted employees. Retail, man. It can trap you.